Need a new appetizer idea for the holiday season? 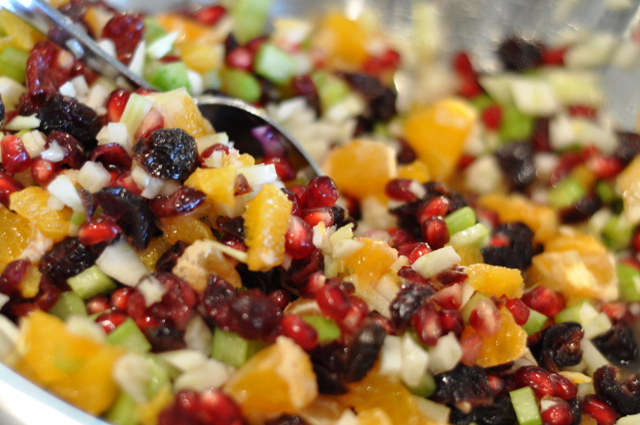 Look no further than this refreshing holiday pomegranate salsa. The ingredients are simple yet festive! 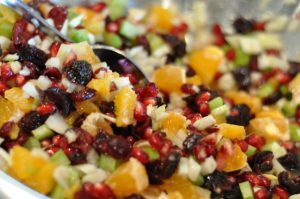 The colourful fruit salsa is full of health-promoting antioxidants and will make your insides smile! Slice the pomegranate in half and remove the arils. 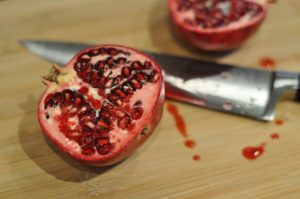 I find it easiest and least messy to remove the pomegranate arils under water in a large bowl. Take out the arils and put into a bowl (herein called the salsa bowl). Section the orange and cut into bite-sized pieces. To do this, cut the ends of the orange. Then, slices the peel off, vertically, following the shape of the orange. Once you have removed the peel, hold the orange and cut out the orange flesh, in between the natural segments of the orange. Then cut into bite-sized pieces and add to the salsa bowl. 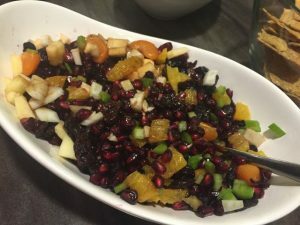 Similarly with the mandarin orange, peel and cut into bite-sized pieces and add to the salsa bowl (picture not shown). Add in the dried fruit into the salsa bowl. In keeping with a holiday theme, I used dried cherries (that I cut in half) and dried cranberries. I could have used any combination of dried fruit. Dice the celery into bite-sized pieces. Add to the salsa bowl. Dice the unpeeled apple. Have the apple sit on the cutting board. Make small slices of apple, all around the core. Then cut into match sticks. Then, rotate the match-stick apples 90 degrees and dice into bite-sized pieces of apple. Add to the salsa bowl. Because of the acid from the oranges, the apple's flesh will not turn brown. Stir the ingredients all together and serve! 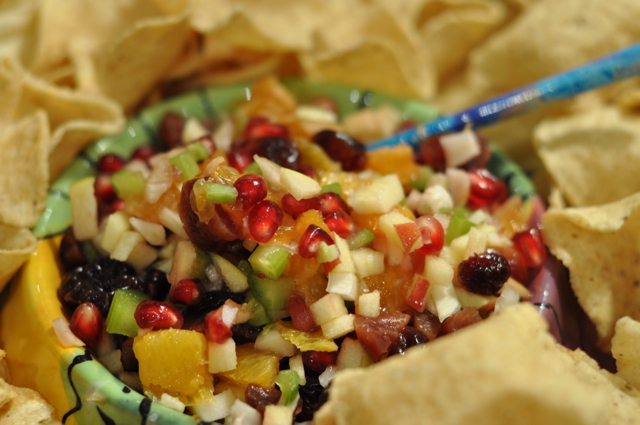 You can serve this Holiday Pomegranata Salsa with baked scoop crackers or whole grain crackers. This salsa also makes for an easy salad – simply add to a bed of spinach and top with your choice of protein (diced chicken, tofu or cheese) for a quick bright-tasting salad. The Holiday Pomegranate Salsa itself is gluten-free (provided the dried fruit does not contain wheat; check the ingredient list to ensure no gluten-containing additives have been used). 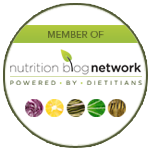 To make gluten-free, serve with gluten-free rice crackers, gluten-free whole grain crackers or on a piece of romaine lettuce. Enjoy!